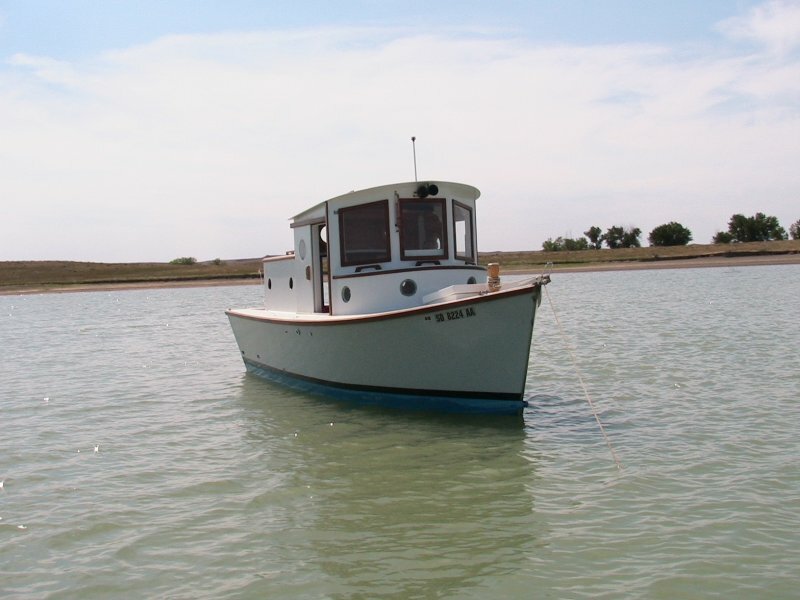 Martin Houston designed and built this mini-tugboat, JANI J, that he named for his wife, Janice Jeanette. The two of them built her over five years at their home in South Dakota, epoxying plywood onto fir frames, then covered with fiberglass cloth. 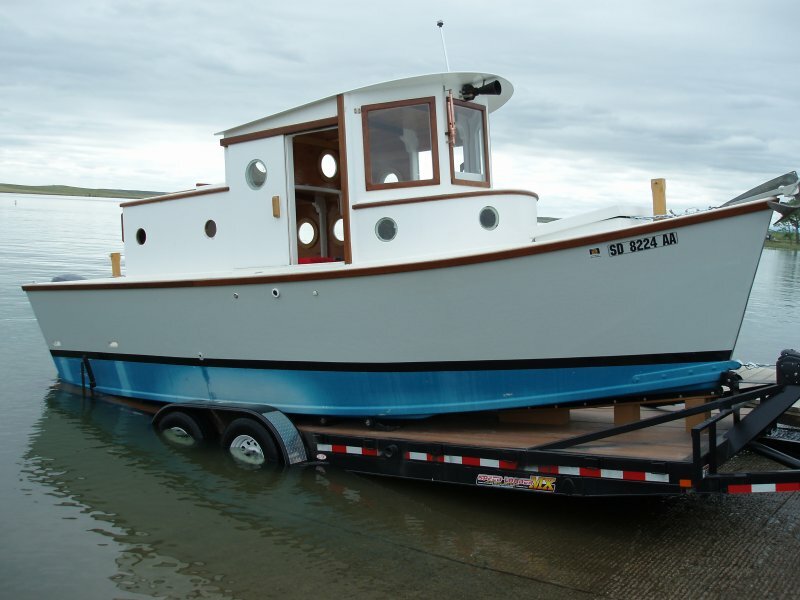 JANI J is 25′ on deck, with an 8′3″ beam, and displaces three tons. 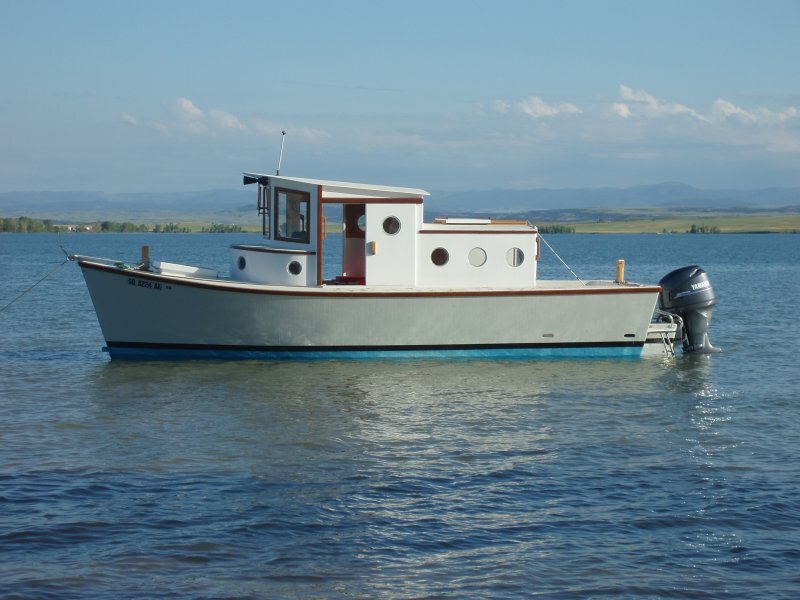 Houston based the flat-bottomed hull of his design on a Pacific power dory, and the cabin on that of a tugboat. JANI J’s 115-hp Yamaha outboard lets JANI J cruise at 8 knots, with a top speed of 15 knots. 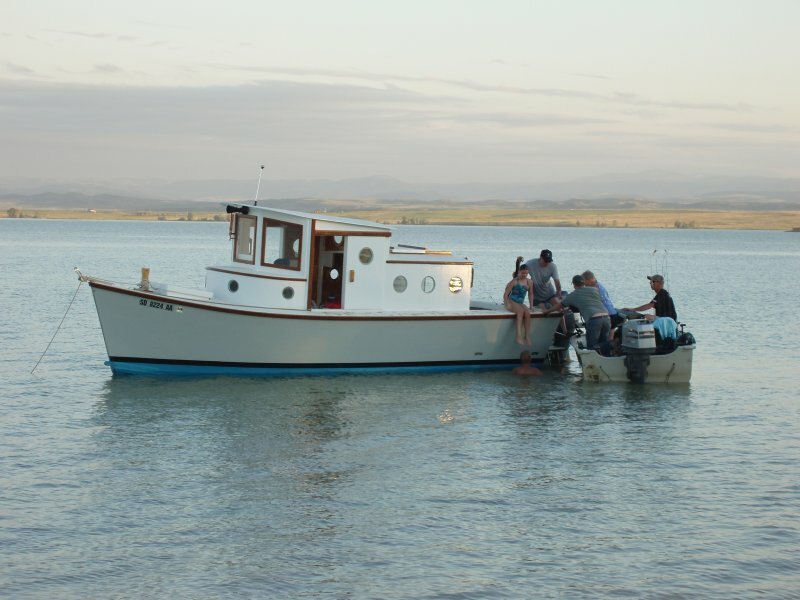 They launched her at Belle Fourche Reservoir in South Dakota on July 23, 2011. The Houstons have taken three voyages so far with more trips planned to the Missouri River, and to other lakes in the Dakotas and Wyoming. You can contact them at mtnridr13@yahoo.com and find videos of JANI J underway on YouTube. Martin adds that his daughter, Andrea Boboleney, took these pictures.